While many folks in the north and Midwest are getting ready to say goodbye to their lawns, people who live in the South will still be able to enjoy their green grass…as long as they work to make sure it stays green. Just because you don’t have to worry about two feet of snow in the yard does not mean your grass does not need to be treated a little differently in the winter months. 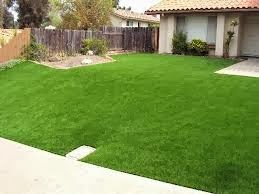 Many yards in the Sun Belt have lawns with Bermuda grass or St. Augustine grass. In the winter months, your grass can still fall victim to mold, weeds and brown spots. You may want to overseed your lawn in the late fall, especially if you live in an area that sees temperatures occasionally drop below the 50’s. This can help improve your lawn's chances of staying green and full during the winter months. Consider fertilizing your lawn with a high quality fertilizer with nitrogen. A fertilizer with time-released nitrogen will help prevent burn. If you are not sure if your type of lawn is the right lawn for a fertilizer with nitrogen, check with a home and garden or lawn-care center. If your yard has acidic soil, you may want to apply lime to your lawn. You can use a fertilizer spreader to apply lime. It’s important to always wear gloves when using lime. Apply lime evenly on your lawn. If you are unsure how much lime to use, you can do a soil test. Irrigate your lawn. If you have an automatic sprinkler system you keep on all year, make sure to adjust the amount of water during each cycle. Your lawn may need more water if you’ve overseeded. You can also reduce irrigation time when temperatures are in the 40’s. Make sure to mow your lawn during winter months. Mowing on a dry, winter day can help remove fallen leaves and pine needles.